Those days equipal furniture is used for rustic and Mexican style dining rooms, verandas and patios. Equipales have also commercial use in rustic style restaurants and bars. The furniture is very strong. It is made of pig skin and wood strips. 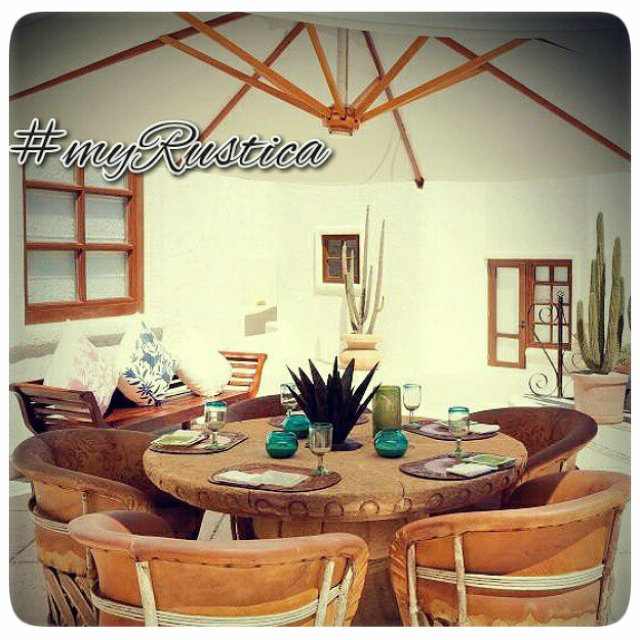 Rustica House equipal collection includes chairs, tables, dining rooms sets for residential and restaurants. Equipal furniture were in use through central Mexico long before Spanish arrival. In fact, indigenes ruler's throne was made in equipales style when conquistadors came to visit him. We make them in two colors, terra cotta that is kind of reddish and brown tobacco. The production facility is located in state of Jalisco, Mexico. Delivery of equipale to the US estimated for five weeks. Equipal Furniture Bar Stool "EBS1"
Equipal Furniture Bar Stool "EBS2"
Equipal Furniture Dining Room "DT82"
Equipal Furniture Dining Room "GH56"
Equipal Furniture Dining Room "HU61"
Equipal Furniture Dining Room "YT81"